[S675] Elizabeth Margaret Waters Vilas, Van Gelder. [S676] Gary Boyd Roberts, Presidents 2009 Edition, page 166. [S676] Gary Boyd Roberts, Presidents 2009 Edition, page 167. [S676] Gary Boyd Roberts, Presidents 2009 Edition, page 171. [S676] Gary Boyd Roberts, Presidents 2009 Edition, page 168. William Terrell married Susanna Waters.1 William Terrell died circa 1743 at Hanover Co., VA.
[S676] Gary Boyd Roberts, Presidents 2009 Edition, page 173. David Lewis married Anne Terrell, daughter of William Terrell and Susanna Waters. Phebe Eastman married Edwin Hickman, son of Edwin Hickman and Eleanor Elliott. Patsy Ann Isbell married Edwin Hickman, son of Edwin Hickman and Phebe Eastman. Nancy Isbell married Elliott Hickman, son of Edwin Hickman and Patsy Ann Isbell. Christine Adeline Hickman was the daughter of Elliott Hickman and Nancy Isbell. Christine Adeline Hickman married William Riley Davis. Mique Ann Hardin Davis was the daughter of William Riley Davis and Christine Adeline Hickman. Mique Ann Hardin Davis married Thomas Riley Isbell. William Pettibone Goddard was born on 10 January 1827 at Schuylkill Haven, PA. He was the son of Daniel Goddard and Percy Amanda Pettibone. William Pettibone Goddard married Mary Ann Pace on 11 September 1857 at UT. William Pettibone Goddard died in 1903 at New Harmony, Washington Co., UT. Ida Mae Isbell was born on 25 November 1866 at MO. She was the daughter of Thomas Riley Isbell and Mique Ann Hardin Davis. Ida Mae Isbell married Henry Thomas Williams on 23 December 1883 at Mt. Vernon, Lawrence Co., MO. Etta Coleman Williams was born on 18 October 1888 at Mt. Vernon, Lawrence Co., MO. She was the daughter of Henry Thomas Williams and Ida Mae Isbell. Etta Coleman Williams married Emory A. Hillhouse on 18 November 1906 at Lawrence Co., MO. Etta Coleman Williams died on 23 September 1982 at Mt. Vernon, Lawrence Co., MO, at age 93. [S182] Social Security Death Index (on-line), Ancestry.com, SSDI, Ancestry.com, SSAN 486-40-2487. Jane Etta Hillhouse was born circa 1941. She was the daughter of Hal Knox Hillhouse and Clara Mae Bell. Jane Etta Hillhouse married William Alvin Pitt on 11 August 1962 at Joplin, Jasper Co., MO. Homer Albon Vilas was born in 1891 at Ogdensburg, St. Lawrence Co., NY. He married Elizabeth Margaret Waters, daughter of Frederick Waters and Sarah Adelaide Griswold, in 1916. Jennifer Aniston was born on 11 February 1969 at Sherman Oaks, CA. She married William Bradley Pitt, son of William Alvin Pitt and Jane Etta Hillhouse, on 29 July 2000 at CA. Jennifer Aniston and William Bradley Pitt were divorced on 2 October 2005. Alice Eltonhead was the daughter of Richard Eltonhead and Anne Sutton. Alice Eltonhead married Henry Corbin. William Pace Goddard was born on 16 April 1853 at New Harmony, Washington Co., UT. He was the son of William Pettibone Goddard and Mary Ann Pace. William Pace Goddard married Ann Kirrilla Taylor on 1 January 1877. William Pace Goddard died on 23 January 1923 at El Paso, El Paso Co., TX, at age 69. William and Kirilla were enumerated in the 1900 Alma, Socorro Co., NM, federal census. He was a stockman, age 47, she was 40. Children in the household were John E. 19, Dora 17, Lori 16, Effie 14, Sydney C. 12, Alfred A. 8, Jettie L. 6, Gerold A. 4, and Mildred 2. Enumerated next door is William, 22, apparently a son. William and Kirrilla were enumerated in the 1910 Mesilla Park, Dona Ana Co., NM, federal census. He was a farmer, age 57, she was 50. Children in the household were Sidney C. 22, Alfred A. 18, Jettie L. 16, Gerald A. 14, and Mildred 12. 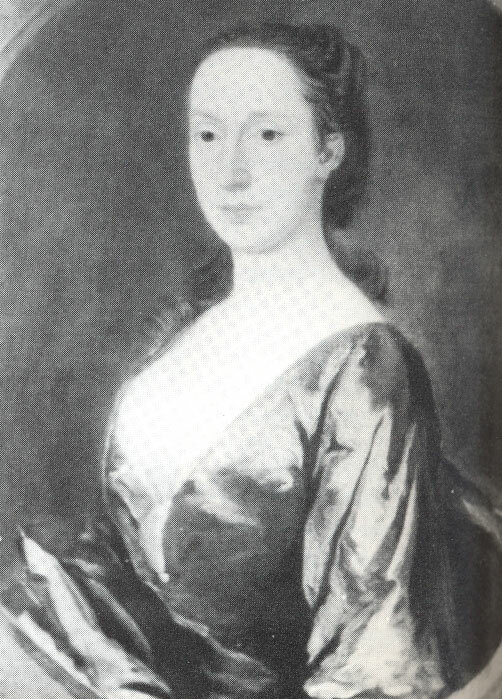 Laetita Corbin was born circa 1657. She was the daughter of Henry Corbin and Alice Eltonhead. Laetita Corbin married Richard Henry Lee Jr., son of Richard Lee and Anne Constable. 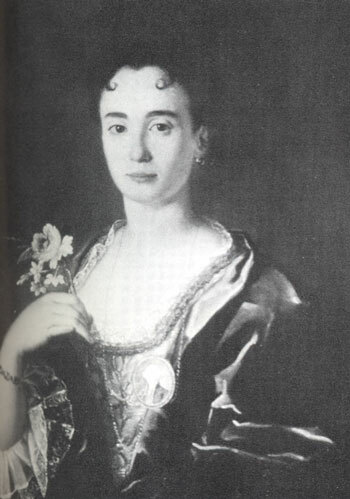 Laetita Corbin died in 1706. Children of Laetita Corbin and Richard Henry Lee Jr.
Thomas and Margaret were enumerated in the 1900 Belleville, Chautauqua Co., KS, federal census. He was a farmer, age 50, she was 30. Children in the household were Jacob M. 14, Thomas W. 11, Joseph E. 9, Franklin W. 7, John 5, Leona 3, and Ruth 10 months. Thomas and Bell were enumerated in the 1910 Belleville, Chautauqua Co., KS, federal census. He was a farmer age 60, she was 40. Children in the household were Wilburn 21, Joseph 19, Franklin 17, John 15, Leona 12, and Ruth 10. Thomas C. and Margaret B. were enumerated in the 1920 Belleville, Chautauqua Co., KS, federal census. He was a farmer age 70, she was 51. Children in the household were Frank W. 26 and Ruth 20. Thomas C. and Margaret B. were enumerated in the 1930 Peru, Chautauqua Co., KS, federal census. He was 80, she was 60. The only child in the household was Ruth 30, a school teacher. He was buried at Peru Cemetery, Peru, KS. Anne Hill Carter was born in 1773 at VA. She was the daughter of Charles Carter and Ann Butler Moore. Anne Hill Carter married Maj. Gen. Henry Lee III, son of Maj. Gen Henry Lee II and Lucy Grymes, on 13 June 1793. Lorenzo Snow was born on 3 April 1814 at Mantua, Portage Co., OH. He was the son of Oliver Snow and Rosetta Lenora Pettibone. Lorenzo Snow died on 10 October 1901 at Salt Lake City, Salt Lake Co., UT, at age 87. Snow was the fifth president of The Church of Jesus Christ of Latter-day Saints (LDS Church) from 1898 to his death. Snow was the last president of the LDS Church in the nineteenth century. Snow was the fifth child and first son of Oliver Snow and Rosetta Pettibone, residents of Mantua, Ohio, who had left New England to settle on a new and fertile farm in the Connecticut Western Reserve. Despite the labor required on the farm, the Snow family valued learning and saw that each child had educational opportunities. Lorenzo received his final year of education at Oberlin College, which was originally founded by two Presbyterian ministers. Snow later made his living as a school teacher when not engaged in church service. In 1831, Joseph Smith, Jr., the Latter Day Saint prophet, took up residence in Hiram, Ohio, four miles from the Snow farm. The Snow family were Baptists, but soon took a strong interest in the new religious movement. Snow recorded that he heard the Book of Mormon being read in his home in Mantua and met Smith at Hiram in 1831. By 1835, Lorenzo's mother and his older sister Eliza Roxcy Snow, had joined the Latter Day Saint church. Eliza soon moved to the church headquarters in Kirtland, Ohio, and worked as a school teacher. She, in her biography of Lorenzo, claims to have fostered his interest in Mormonism while he was at Oberlin. She invited Lorenzo to visit her and attend a school of Hebrew newly established by the church. During his visit there, in June 1836, Lorenzo was baptized by John F. Boynton, a member of the Quorum of the Twelve Apostles. On his recovery, Snow left for a second mission to Illinois and Kentucky in the fall of 1838. He served there through February 1839, when he learned that the Latter Day Saints had been expelled from their settlements in Missouri. He traveled home by way of his former mission area in Ohio. He was again taken ill and was cared for by members of the church. He remained in Ohio, preaching and working with church members until the fall of 1839. During the school year of 1839–40, Snow taught in Shalerville, Ohio. He sent money to his family, which had by then settled in Nauvoo, Illinois. He joined them in May 1840. Shortly after he arrived in Nauvoo, Snow was again called to serve an active mission, this time to England. After an unpleasant sea voyage from New York City, Snow met with some of the members of the Twelve Apostles who had opened the British Mission in 1839, including Brigham Young, Heber C. Kimball, and Parley P. Pratt. He worked briefly in the Manchester area, and had success in Birmingham, where he baptized people in Greet's Green and organized a branch in Wolverhampton. Snow was then assigned to preside over church members in London. During his administration, church membership in the city increased from 100 to approximately 400 members. He was released from his mission by Pratt, who by then was president of an expanding European Mission. Snow arrived home on April 12, 1843, bringing with him a shipload of 250 British converts. After visiting with his family, Snow again secured a teaching position for the winter, teaching at Lima, Illinois, thirty miles from Nauvoo. In late spring 1844, he returned to Ohio, preaching and baptizing new converts and distributing recent church publications to members. He was working in Cincinnati, Ohio when he learned of the assassination of Joseph Smith. Snow closed his Ohio mission and promptly returned to Nauvoo. Before leaving Nauvoo, Snow accepted the principle of plural marriage and took four wives: Charlotte Squires (age 20), Mary Adaline Goddard (age 32), Sarah Ann Prichard (age 18), and Harriet Amelia Squires (age 26). Snow would later take several more wives: Eleanor Houtz (age 14), Mary Elizabeth Houtz (younger sister of Eleanor), Caroline Horton (age 29), Sarah Minnie Ephamina (age 16). Snow also wed the 17-year-old Pheobe Woodruff, the daughter of Wilford Woodruff. Snow fathered the child Rhea Lucile Snow at the age of 83 while serving as president of the LDS Church. Snow's sister Eliza R. Snow was also a polygamous wife of Joseph Smith, Jr., founder of the Latter Day Saint movement. Snow and his family, with wagons and livestock, joined a group of emigrants and moved across the Mississippi River into Iowa in February 1846. On the way west, Snow again became ill and the family stopped at Mt. Pisgah, Iowa. Three Snow children were born at the Mormon refugee settlement, but one child did not survive. Snow was called to preside over the church organization in Mt. Pisgah and actively raised money to assist the bands of emigrants in their move west. The Snow family moved on to the Salt Lake Valley in 1848. In 1849 Snow was called to the Quorum of the Twelve Apostles. He was called the same day as Franklin D. Richards, Erastus Snow (a distant cousin), and Charles C. Rich. They were called to fill vacancies caused by the re-establishment of the First Presidency and Lyman Wight's apostasy. Shortly after his call to the Twelve, Snow left on a mission to Italy and French-speaking Switzerland. He later sent missionaries under his direction to India (1849–1852). Snow was directly involved in missionary work in Italy and Switzerland, and also visited Malta. He had planned to visit India, but various circumstances prevented this journey. In 1851, Snow published a pamphlet entitled "The Italian Mission" about his and his companions efforts in Italy. It was published in London. Snow wrote a pamphlet entitled "The Voice of Joseph" in 1850 to advance missionary work in the Italian mission. He was unable to find anyone in Italy to translate it so sent it to Orson Pratt, then the president of the British Mission, who eventually found someone in Paris to translate it. The efforts of missionaries under Snow, especially the ones he sent to Turin, inspired an article attacking the Mormon missionaries for undermining the Roman Catholic Church in the Turinese paper, L'Armonia. Snow and his successors were unsuccessful in the cities also due to opposition to their activities by the government of Camillo Cavour. On his return to Utah, Snow founded a society called the polysophical society to conduct study into the various aspects of human knowledge. He encouraged church members of all ages to join and some view this organization as a predecessor of the Young Men's Mutual Improvement Association. In 1853, under the direction of church president Brigham Young, Snow founded Brigham City, Utah. Settlement had began on a limited scale at this site under the name "Box Elder". Snow changed the name and moved the community towards living up to its name. He was also a key backer of the Brigham City Cooperative, which was the inspiration for ZCMI and other cooperatives. In 1864, Snow was sent on a mission to the Sandwich Islands. He went on this mission with Ezra T. Benson and Joseph F. Smith. They were responding to messages from Jonatana Napela and other Hawaiian church members about the irregular administration of the church by Walter Gibson. While here, Snow was seriously injured but was healed through the ministration of holders of the priesthood. In 1888, Snow went to Rexburg, Idaho. While here he told the leaders of the stake that Karl G. Maeser had been appointed Commissioner of Church Education and recommended that they form a stake academy. The local leaders followed Snow's instructions and the institution they formed eventually evolved into Brigham Young University–Idaho. Snow was the subject of a United States Supreme Court case regarding polygamy prosecutions under the Edmunds Act. In late 1885, Snow was indicted by a federal grand jury for three counts of unlawful cohabitation. According to his indictments, Snow had lived with more than one woman for three years. The jury delivered one indictment for each of these years, and Snow was convicted on each count. After conviction he filed a petition for writ of habeas corpus in the federal district court which convicted him. The petition was denied, but federal law guaranteed him an appeal to the United States Supreme Court. In Ex Parte Snow the Supreme Court invalidated Snow's second and third convictions for unlawful cohabitation. It found that unlawful cohabitation was a "continuing offense," and thus that Snow was at most guilty of one such offense for cohabiting continuously with more than one woman for three years. 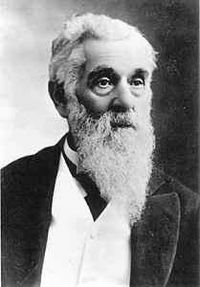 The first notable action of Lorenzo Snow as president of the church was that he organized the First Presidency almost immediately after Wilford Woodruff's death, instead of waiting years as his predecessors had. As he began his tenure as president, Snow had to deal with the aftermath of legal battles with the United States over the practice of plural marriage. Men engaging in plural marriage were still being arrested and confined in Utah Territory. Some members of the LDS Church did not accept the 1890 Manifesto put forth by Wilford Woodruff, and there was a strong division of opinion on plural marriage even in the priesthood hierarchy of the church. The LDS Church was also in severe financial difficulties, some of which were related to the legal problems over plural marriage. Snow approached this problem first by issuing short term bonds with a total value of one million dollars. This was followed by emphatic teaching on tithing. It was during this time that the LDS Church officially adopted the principle of tithing, the payment of 10% of one's income, as a hallmark of membership. Snow gave an address at the St. George Tabernacle in St. George, Utah, imploring the Latter-day Saints to pay tithes of corn, money or whatever they had in order to have sufficient rain. After much patience and faith, it rained in southern Utah. In a short period of time, the members' practice of paying a tithe reduced the church's debt and financial difficulties to a manageable level. Snow died of pneumonia in Salt Lake City, Utah and was succeeded in the church presidency by Joseph F. Smith.